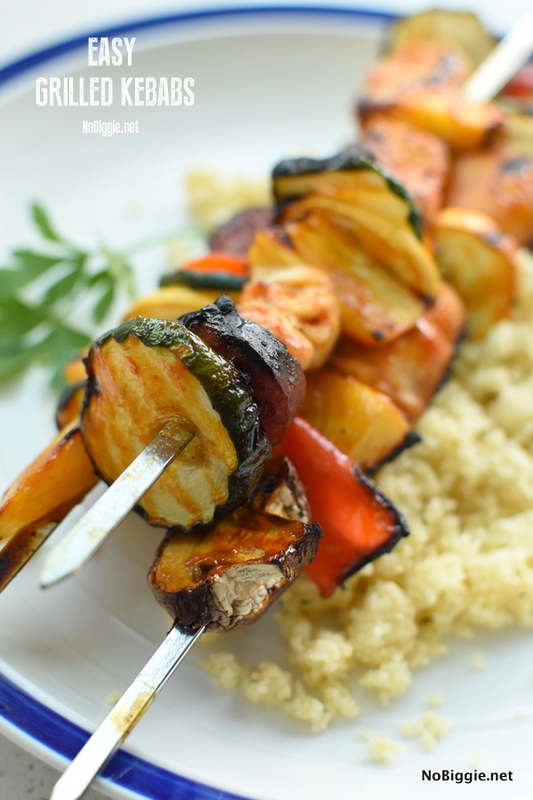 Grilled kebabs with a tangy sweet marinade full of flavor. My sister Becky shared with me how her family LOVES kebabs! It had been a while since we have grilled kebabs, and the way she described them to me had me CRAVING KEBABS. The flavors of all the veggies and meat mix and mingle together with the heat from the grill. 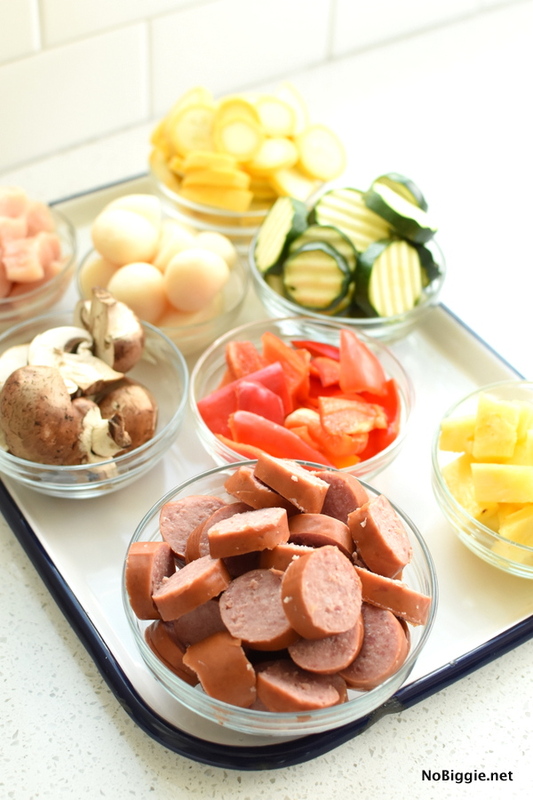 In the past, I’ve tried doing a full skewer of each meat and veggie, but they are so much better when you mix them and have a variety of veggies mixed with meats. 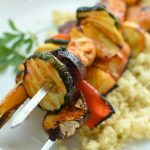 We served them over a bed of couscous (per her suggestion), and it was the perfect Summer dinner, not to mention pretty darn healthy too! We used metal kebab skewers, but if you don’t have metal skewers, you can use wood skewers. If you use wood skewers, be sure to soak the skewers in water for at least 30 minutes to prevent the wooden skewers from burning up on the grill. If you do use metal skewers, bring a hot pad with you out to the grill, because the handles can get pretty hot and you’ll need something to protect your fingers while turning the skewers over. I love that the metal skewers are earth friendly and reusable, the only downside is that they require some cleanup, while the wooden skewers do not. Here are our favorite things to grill. Another fun idea I’m excited to try is to skewer shrimp and pineapple together with the shrimp wrapped around the pineapple. Pineapple makes everything better! 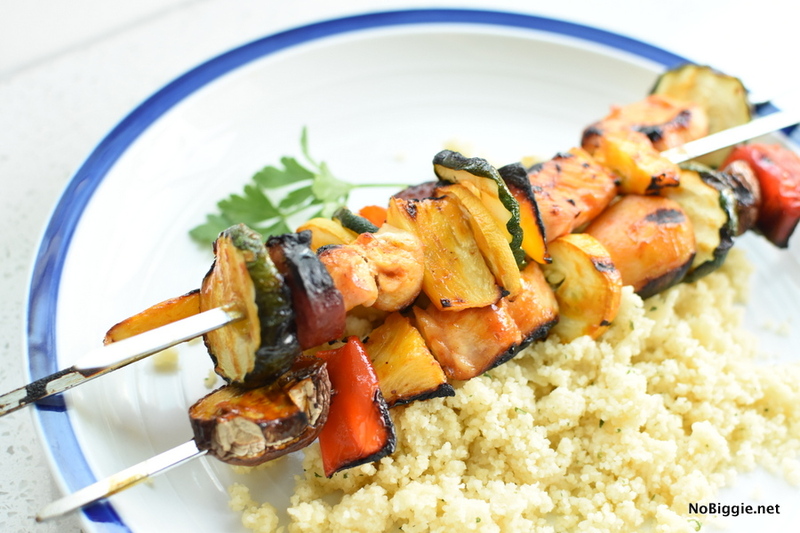 Grilled Kebabs with a sweet and tangy marinade full of flavor. Serve it all over a bed of couscous and it's the perfect Summer night dinner. If using wooden skewers, soak the skewers in water for 30 minutes, to prevent them from burning on the grill. Chop and prepare all veggies and meats. 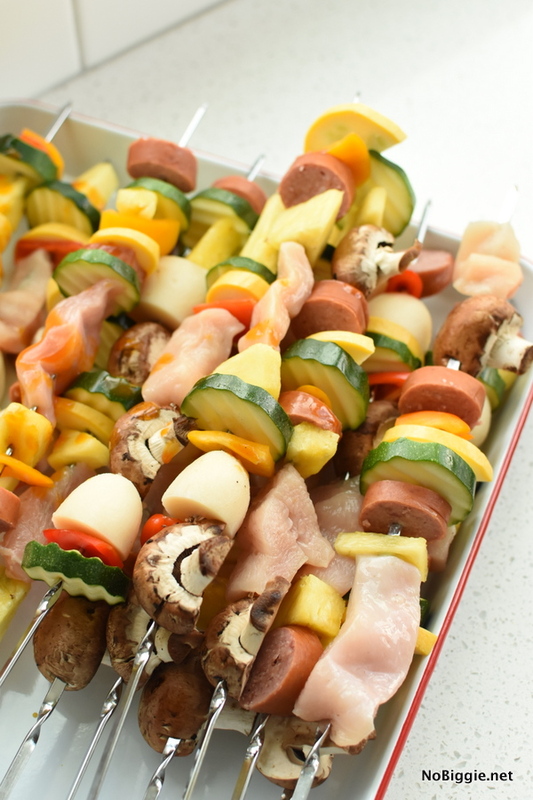 Skewer all cut up veggies and meats until you run out of skewers or veggies and meat. Mix up the sauce. Mix together Heinz 57 steak sauce, honey and pineapple juice together until well combined. Brush it on all sides of the kebabs right before grilling. Fire up the grill. It might be a good idea to oil the grill before preheating to keep the kebabs from sticking. Cook on both sides until charred to perfection. Serve over fluffy couscous and enjoy! What are your favorite meats and veggies to grill? I’d love more ideas!